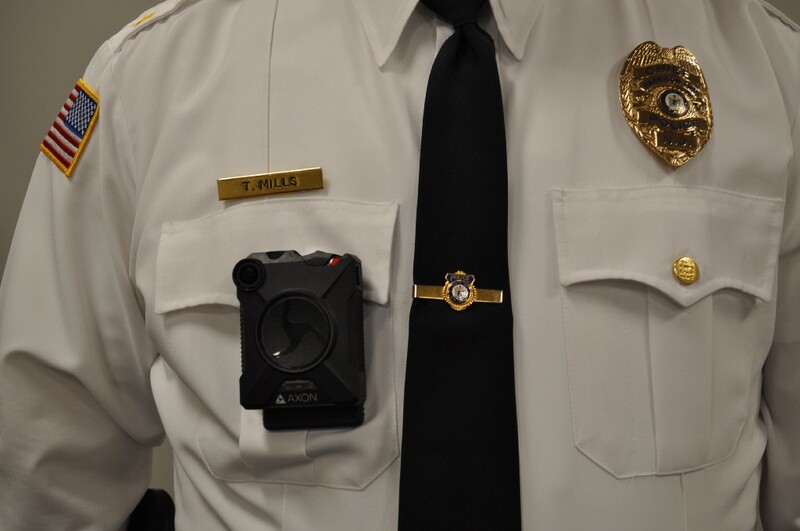 Body cameras became part of the Harrison Township Police Department’s uniforms last January after the department accepted a free, one-year trial through a company called Axon, formally known as TASER International. The department received 25 cameras, cloud storage and transfers, docking stations and automatic software updates. The move is part of a national trend. In 2015, the U.S. Department of Justice, under the influence of President Obama, awarded $23.2 million to 73 local and tribal agencies in 32 states for the purchase of body-worn cameras. Harrison was not part of this funding program. The cameras are visible on law officer uniforms and record most interactions with the public by the push of a button. Mills stated the cameras are not used in privacy situations dictated by the department’s policy. The only downside the department sees is the cost. The cameras can range between $400 and $500, but Mills stated the storage and user agreements are a greater cost. He also stated the camera does not serve to replace good judgment “but acts as a tool to provide some basis of why a decision is made,” he said. Neighboring Mantua Township is in the process of testing different body-worn cameras. The Mantua department received a $12,500 grant from the Division of Criminal Justice recently to assist with the purchase of the cameras and training materials. Numbers gathered by the state Attorney General’s Office show that in 2016 approximately 200 of the nearly 500 police departments in the state began utilizing these devices.